Bahia grass is a low-maintenance grass that thrives in Florida and the coastal South. 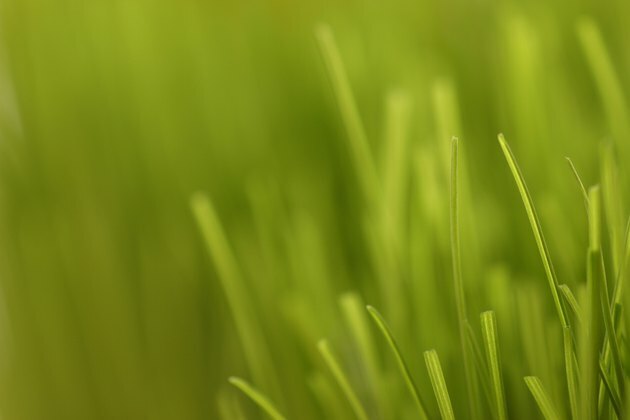 Originally used as a pasture grass, it is now a popular choice as a lawn grass in places where soil quality is poor. Not only can bahia grass survive on sandy and infertile soil, it can withstand drought, heat and heavy rains as well. In spite of its toughness, bahia grass does have some specific requirements to thrive. Following some simple guidelines to planting and care will help you get the most out of your bahia grass lawn. Bahia grass, which was introduced from Brazil in 1914, has a medium to coarse texture. A bahia grass lawn is not as visually appealing as the thick, dark green lawns of other warm-season lawn grasses, but it makes up for it with its hardiness. The trick behind bahia grass' extreme resistance to drought is its extensive root system, which can reach 8 feet into the soil. Of the four cultivars, or varieties, of bahia grass, two of them--Argentine and Pensacola--are the best choices for establishing a lawn. The best time to sow bahia grass seed is in the spring and early summer. You can also sow in the fall, but the seed will not germinate until the spring, and growth will be reduced. The most important factor is that the soil be warm; bahia grass will not germinate in cold soil. Use the Argentine cultivar if you live in South Florida; for Central Florida and points north, use the Pensacola variety, which is more resistant to cold. Prepare for sowing by tilling and leveling the soil. Ensure that the seeds have a light covering of soil by raking the seeded area after sowing, and use a hand roller to compact the soil around the seed. Although bahia grass doesn't need a lot of moisture, the germinating seeds do; make sure the area is well irrigated. Bahia seeds take at least a month to germinate, so be patient. Nourish the newly established lawn by using a starter fertilizer. After the lawn is established, you can fertilize in spring, summer and fall, using an iron-rich fertilizer to prevent iron deficiency, which is indicated by yellowing. 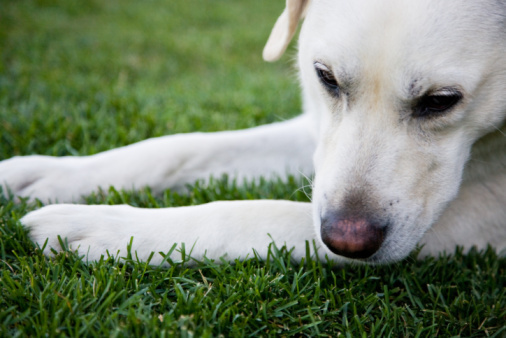 Avoid fertilizing in winter when the grass is semi-dormant. Resist the urge to water, even though the grass is brown; it is merely taking a rest and will become green again in the spring. Mow your bahia grass down to 2 1/2 to 3 inches every seven to 14 days to keep it healthy and prevent weed growth. You can also prevent weeds by not over-watering. Because of bahia grass's toughness, you will need to use a sharp blade to cut cleanly. Never mow bahia too low; that will pave the way for weeds and injure the crowns of the grass. Watch for brown patches in the lawn; this is a sign of mole crickets, which are attracted to bahia grass and can damage it significantly. Use a commercial insecticide to control them.